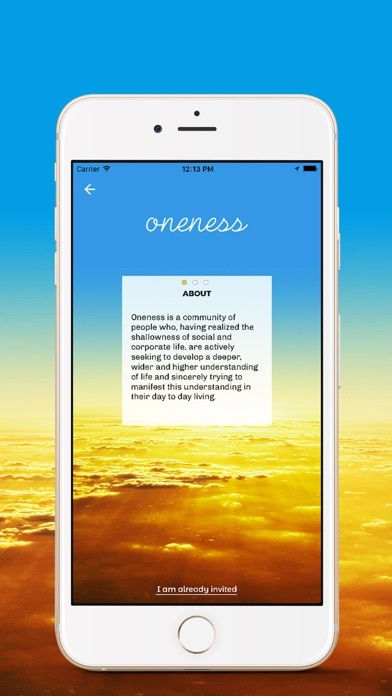 Oneness Community app: insight & download. A social platform for members of Oneness Community. Members can engage in conversations, connect with other like minded members, see projects & event listings. Oneness is a community of people who are actively seeking to develop a deeper, wider and higher understanding of life and sincerely trying to manifest this understanding in their day to day living. 14 January 2018 : Free!